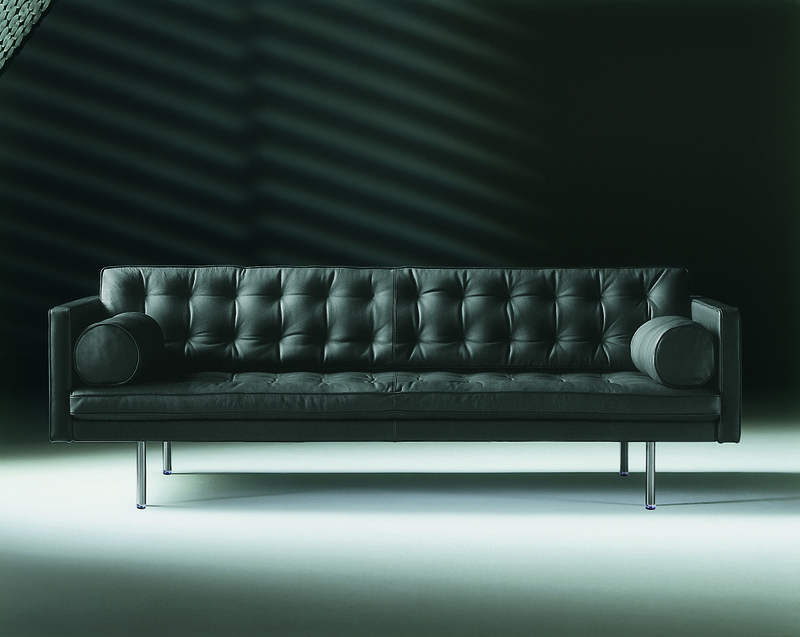 MAGISTER is a sofa with character, iconic, part of the catalogue for over thirty years. 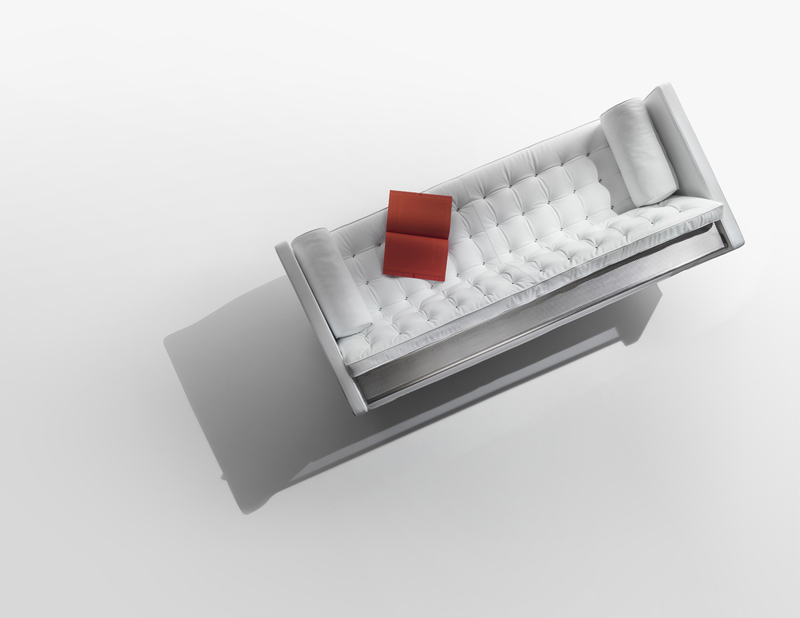 An understated, linear volume, enhanced in its spartan image by the particular capitonné workmanship, in the version covered with leather. The detail of the double eyelet to replace the classic buttons adds a touch of originality. 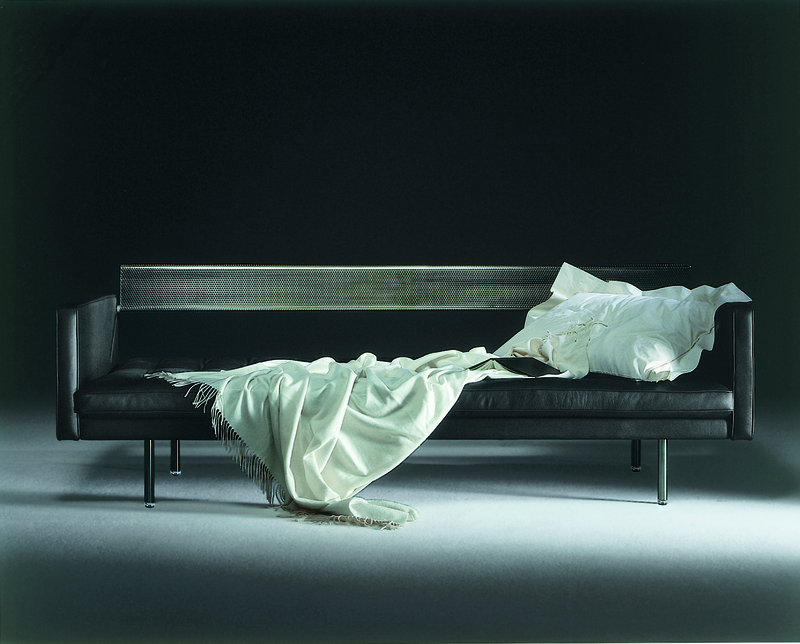 Raised off the floor by round legs in brushed metal, MAGISTER has two cylindrical down armrest cushions and a foldaway metal shelf behind the back that allows it to become a single bed, thanks to an ingenious patented mechanism that is very simple to use. 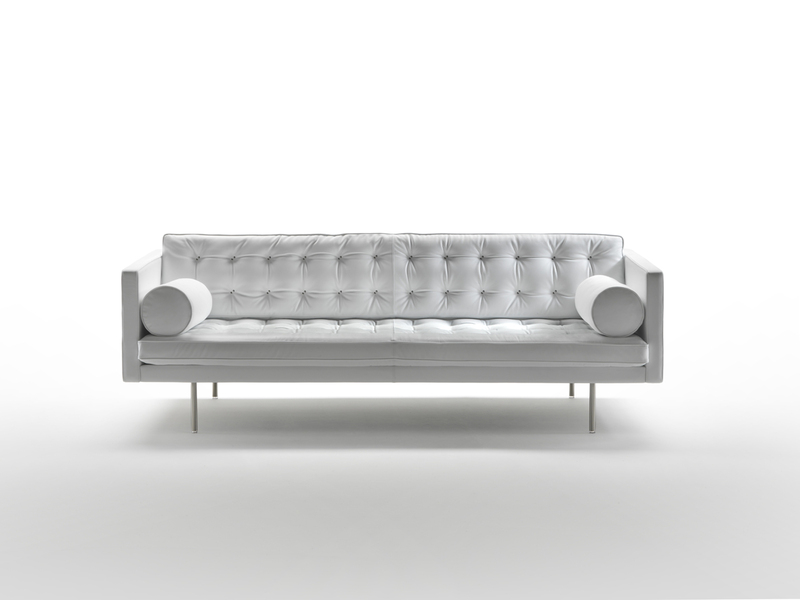 A unique design that brings tone and depth to the home or public spaces, waiting rooms, lounges, hotel lobbies.